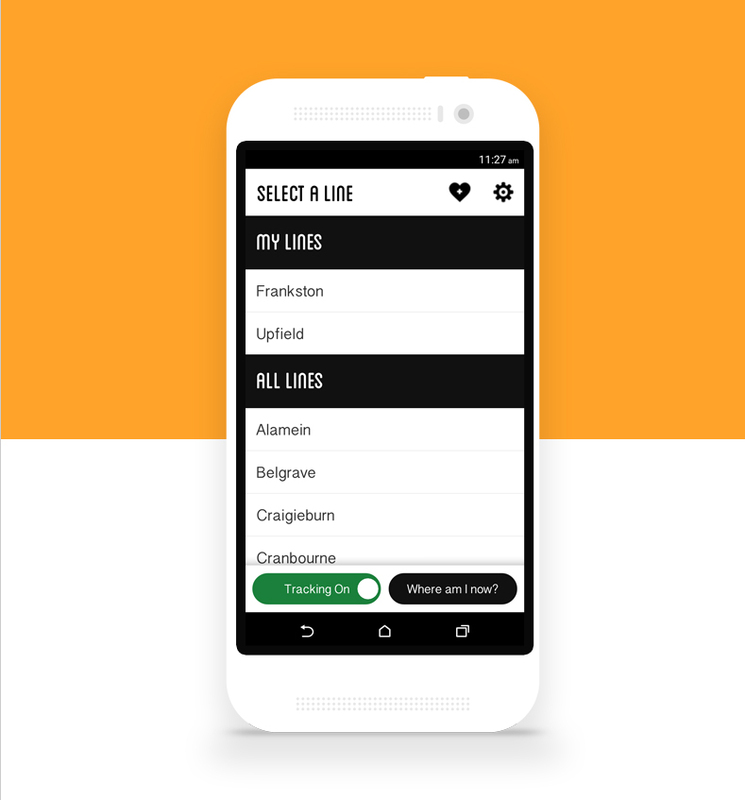 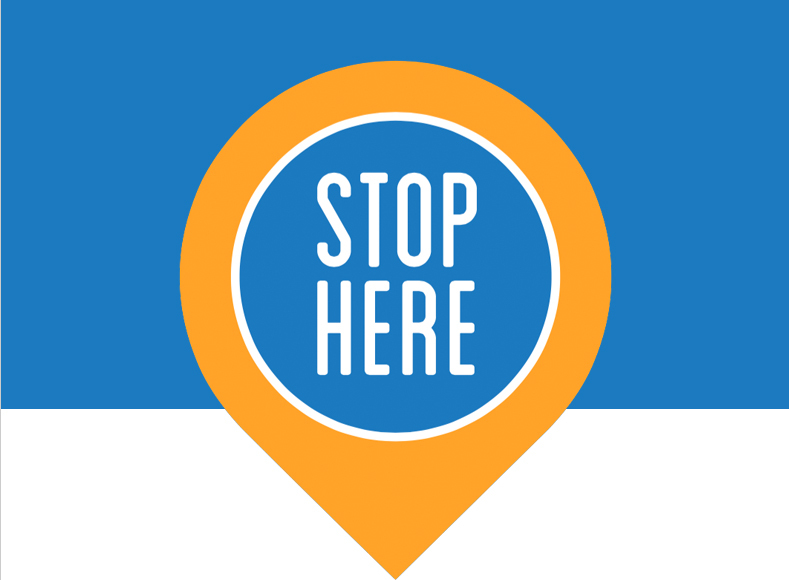 Stop Here is a app designed and built for Metro Trains Melbourne that uses GPS location tracking to help guide commuters to their destination. 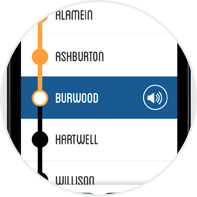 Specifically designed to help people with visual or audio impairment needs, Stop Here provide real-time location, station and journey tracking to their destination. 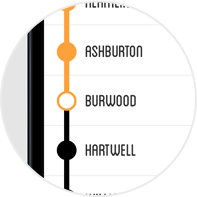 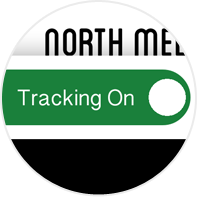 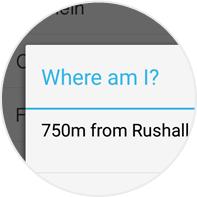 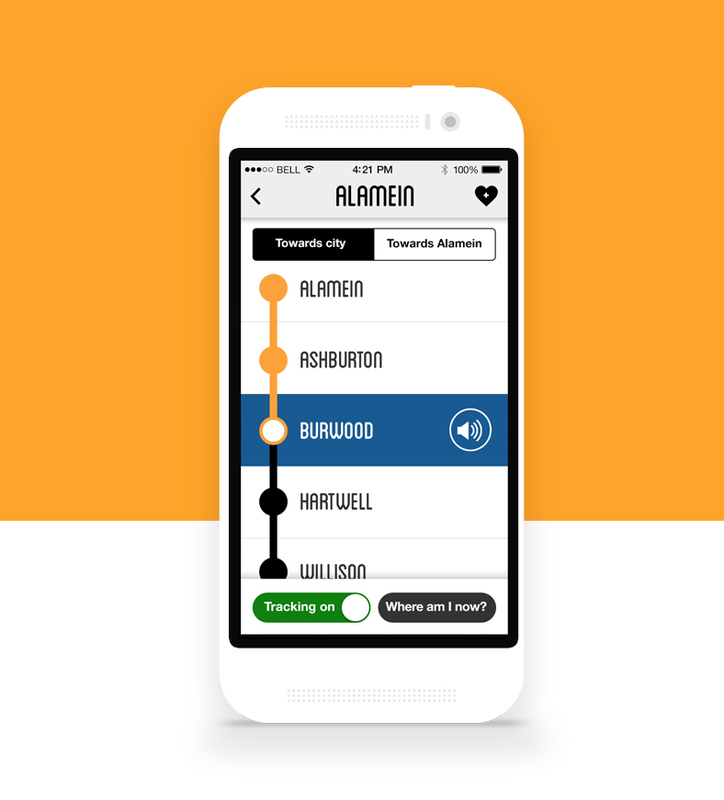 Local push notifications trigger to inform the user when they are approaching their destination stop and stations prior to their destination. 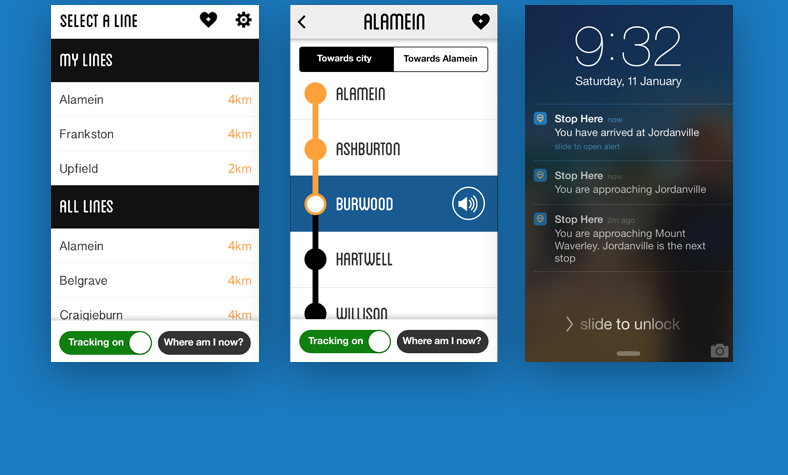 Real-time trip progress with the app in the foreground or background.